These water screens are designed for use on “M” style gearcases ONLY. DO NOT install on any other models. 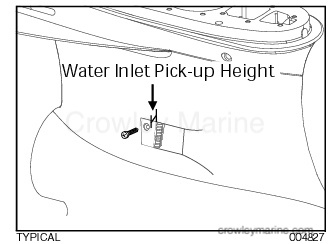 There are four types of water pick-ups available. High Performance: Designed to minimize drag and cavitation for high speed applications. High Flow: Designed for general applications. These screens may exhibit higher drag than the High Performance screens. 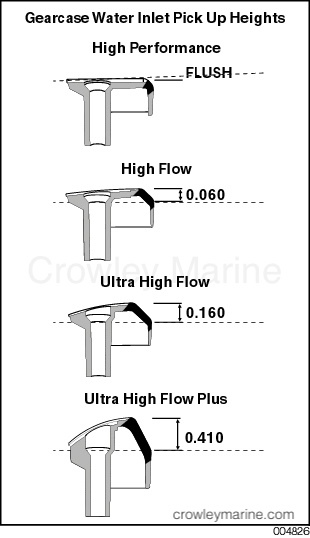 Ultra High Flow: Designed for hull and outboard arrangements with aerated water flow to the water inlet area. Twin and triple outboard applications benefit from these pick-ups. These pickups function in all applications, but increase drag compared to the High Performance and High Flow screens. Ultra High Flow Plus 0.250 inch: Designed for hull and outboard arrangements with severely aerated water flow to the water inlet area. Twin and triple outboard applications benefit from these pick-ups. These pick-ups function in all applications, but increase drag compared to the Ultra High Flow screens. Inspect and clean any debris from gearcase water intake area. Install water screens and torque screws 60 to 84 in. lbs. (7 to 9.5 N·m). Water pressure must be checked after installation. 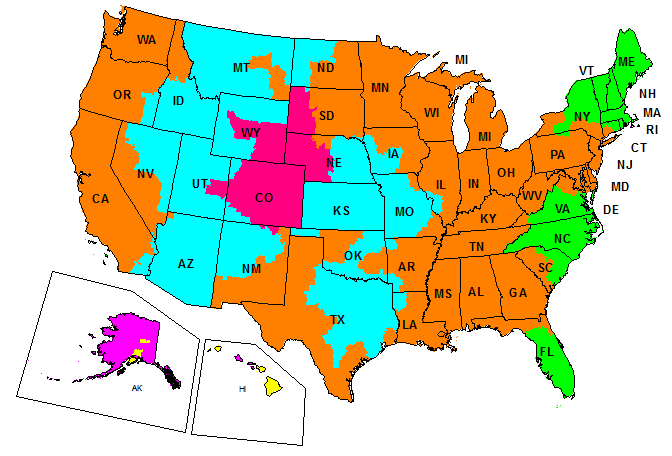 In some installations, the High Performance screens will NOT provide adequate water pressure. If the outboard does not have adequate water pressure, reinstall the standard High Flow water inlet screens. Inadequate water pressure can lead to powerhead failure.